Earlier today, I had to access my HDD in Windows 7 through USB bridge which I had been using as an internal hard disk for my laptop but unfortunately it didn't. A quick googling revealed a very useful tool by Diskinternals. 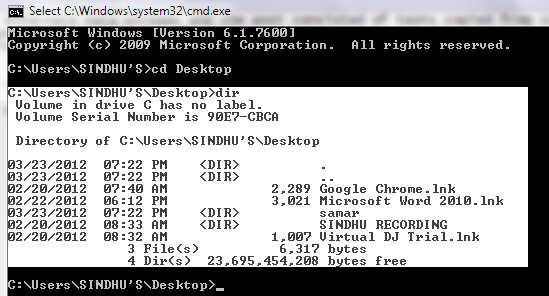 The program provides for read-only access and does not allow you to make records in file system partitions. This guarantees that the interference in an alterative file system will not affect the work of Linux later. Apart from this, it is necessary to note, that it gives you an opportunity to use common Windows Explorer for extracting data. A preview option for pictures is one more pleasant point, which is worth mentioning. While saving, it ignores file security policies. 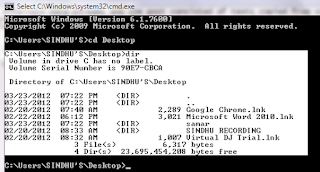 It means that it is possible to access absolutely any file on a Linux disk from Windows. Someone from the University of California has made it easier for windows python users to install python extension packages easily by providing several 32-bit and 64-bit windows binaries for several scientific open source python libraries. If you can't figure out your way in installing python libraries, you can download the binaries for several libraries from HERE. Easy Install(easy_install) is a python module (easy_install) bundled with setuptools that lets you automatically download, build, install, and manage Python packages. Easy Install gives you a quick and painless way to install packages remotely by connecting to the cheeseshop or even other websites via HTTP. It is somewhat analogous to the CPAN and PEAR tools for Perl and PHP, respectively. This How To will guide you in installing the easy_install utility easily in windows. First download the ez_setup.py file. Once the script finishes, new directory "Scripts" will be created in the python installation directory and it will contain the easy_install.exe file in that directory. Now all you have to do is add the Scripts path to system's Environment Variables to access this tool easily. Right click on computer, go to properties, Advanced System Settings, Environment Variables, System Variables and edit the "Path" variable by adding correct path to the Scripts directory. So I was curious on how Microsoft is managing to determine the status of internet access. I am a linux user and I have been thinking of having something similar to windows in ubuntu as well. Due to curiosity, I was tempted to dig further upon this and here is my finding. What tool would be better than wireshark to analyze network traffics so I fired up wireshark in my friend's laptop. I took out the ethernet cable, started the capture in the ethernet interface, and then plugged in the ethernet cable back. I waited till the internet access status was shown at the right bottom(right part of taskbar) and stopped the live capture. Now to the fun part, I analyzed the capture with my noob skill. One particular entry was the DNS query for . Curios, I opened the site to find 403 forbidden error. I was now starting to think that Microsoft does the DNS lookup for this particular site and if it fails, Windows shows No Internet Access sign. Wait!!! There's something more. 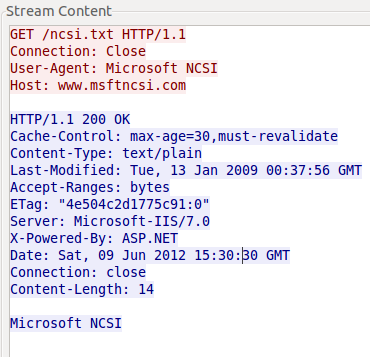 Further analysis showed that a GET request is made for the file ncsi.txt to that website. Following the stream, I found out that the page contained the text Microsoft NCSI. Windows performs a dns lookup for www.msftncsi.com then after it succeeds, a request is made to http://msftncsi.com/ncsi.txt which should contain the text Microsoft NCSI. I did a google search on Microsoft NCSI and THIS PAGE gives a detailed description on NCSI which stands for Network Connectivity Status Indicator. If you guys have researched on this and found something different, please let us know by throwing a comment. If you have problematic NTFS partition in your hard disk, you can fix many of the common NTFS inconsistencies from linux. Linux consists of a set of tools that allow you to manipulate and perform different types of actions on the NTFS partitions. This package is known as ntfsprogs. If you have more than one HDDs and want to view partitions of specific HDD, you can always do so by issuing the commands such as sudo fdisk -l /dev/sda or sudo fdisk -l /dev/sdb and so on. Now lets suppose its /dev/sdb5 we need to fix. We can now use the ntfsfix command that comes in the ntfsprogs package. Note that it only repairs some fundamental NTFS inconsistencies, resets the NTFS journal file and schedules an NTFS consistency check for the first boot into Windows. You may run ntfsfix on an NTFS volume if you think it was damaged by Windows or some other way and it cannot be mounted. I had earlier posted about alternate data streams and the post consisted of texts copied from command line. I was on local IRC channel, one guy was curious if I was using the redirection operator to get the content from the command prompt. 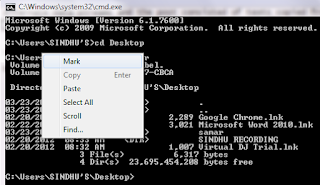 So I thought to share this simple tip to copy text from command prompt in windows. 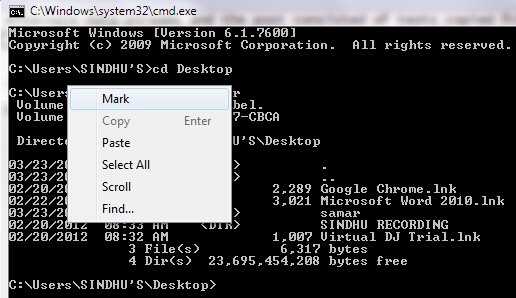 Follow the steps as below: 1) Right click anywhere on the command prompt window and then select the Mark option. 2) Now start selecting the text you need to copy using your mouse. You could keep on holding mouse and then do the selection. Alternatively, you could click on the starting point and then while holding the SHIFT key, click on the end of text you wish to copy.